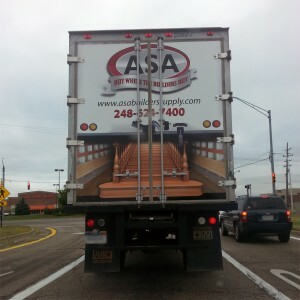 An ASA Truck Spotted in the Wild! When you design your home and arrange for storage you do not have to do what everyone else does and put up traditional cabinets. Your home is your own and you can express yourself however you like when you design and build the storage spaces in your home. If you want to break from tradition and do something different try these cabinet alternatives for your home and let your creative side come out in your home’s design. A popular way to store pots and pans is from hooks hung from the ceiling of your kitchen. This decorative way to store your pots and pans fills up empty space and keeps your cooking tools easily within your reach so that you can grab them immediately without having to search around in cramped cabinets. If you have glasses that need to be stored then consider mounting a glass rack that will conveniently and safely store your stem ware. The glass racks hang the glasses upside down so that dust cannot gather inside them and also make it easy to get access to your glasses when you need one. If you decide to forego the typical cabinet route when you design your home shelves are a great alternative. Shelves easily fit in small spaces like bathrooms giving you a place to store towels and other toiletries. 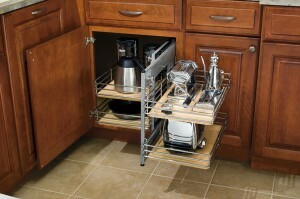 Shelves can be mounted in kitchens to store dishes and other supplies. Shelves are an easy alternative and they can be mounted in a variety of heights to fit in any room. If you want a simple way to store a coat, towel or even pots and pans then a hook can be mounted on the wall that can hold whatever you like. If you strategically place hooks at key places in your home like door entry ways then you’re less likely to find things thrown on the floor. When you design your home there are cabinet alternatives that will give your home a unique touch and functional design. 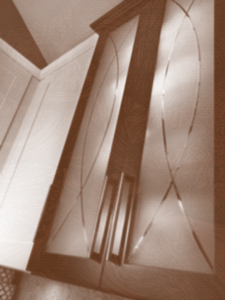 ASA Provides a vast variety of cabinetry options that can meets your needs for your next renovation job! Call today and we can have your dream kitchen or bathroom in no time. Kitchens are the center place of our home where we eat, prepare food and socialize with our families all in this one room. The kitchen must be functional so that we can prepare food and it must also be open and inviting to make people feel welcome. When you are designing your kitchen you must take all uses of this space in mind. Here are some traditional kitchen alternatives that will make your kitchen welcome and functional for your friends and family. One of the biggest space hogs in the kitchen is countertops for food preparation and a table with seating for your entire family. Try combining these two items into one big island with seating around the perimeter. You can use the table for food preparation then put place settings out to serve your food. This is a great idea for small homes or apartments to save space and not be crowded. If additional seating is needed then add leaves or make the table expandable so that it takes up less space when you do not need it. We like to decorate our kitchens just like every other room but when there is a lack of space then decorations are just in the way. Dishes and utensils can serve dual purpose as tools for eating and then decorations. Use shelves to store dishes and display plates so that the pattern can be seen. When you decorate your kitchen this way it will be a great way to save space and clutter while making it easy to get to the tools you need while cooking. There are alternatives to the traditional kitchen that will make your space more functional and inviting. By combining functions of typical things in the kitchen you can break away with traditional kitchen alternatives and have innovative designs and decorations. ASA Builder Supply Cabinet Corporation can help you push your kitchen into the right direction. With these warm summer months coming up, it’s a good time to get renovations going, and there’s no better company have backing you than ASA. If you have just purchased a new home or apartment and are struggling with a room that is just too dark but you cannot make structural changes to bring in more light then there is an option. Changing the color of cabinets or flooring to a blonde or light tone will lighten up your room and make the space feel more open. Here are tips to lighten up a space with blonde flooring and cabinets. If you can afford to replace the cabinets in a room then this is the best option for updating them to a lighter color. Pick a natural blonde colored wood in a light color and avoid dark stained woods to replace your cabinets and make sure they are simple and straight forward designs to avoid adding shadows in the surface. If you cannot buy new cabinets then try repainting the existing cabinets a light color. Make sure to prime the cabinets first to ensure the dark tones do not bleed through the finishes paint. The second option to make a room appear brighter is to replace the flooring with much lighter blonde colored flooring. Replacing flooring is a larger endeavor as there isn’t the option to repaint if you have a small budget. If you shop around you will be able to find a large selection of flooring options in different budget ranges and if you can do the installation yourself you will save even more money. A large portion of the installation cost is demolition of the old flooring so take care of that yourself for some additional cost savings. The easiest upgrades you can do are to lighten up a space with blonde flooring and cabinets. These changes will bring new life and light to any room. ASA Cabinets can have you ready for the summer in no time. Call today and we’ll set up a showroom visit at our Walled Lake offices. The beginnings of spring are a great time of year for everyone to take time off and tackle projects that have been set aside the whole year. Many businesses have sales on things you need which allow for great savings. Renovating during the spring is becoming the new norm for the busy professionals who want to be a part of the renovations. Renovations can be as simple as a new coat of paint or it can be as detailed as gutting an entire room. No matter the complexity of the project it is important to lay out a schedule to make sure you can complete your project and still allow some time to enjoy the warmer weather. Discuss any important days when there will be visitors up front so that your contractors can work that into the overall schedule. If the contractors know in advance that one day will not be available for work then they can schedule their workers more efficiently. Renovations require space so it is important to provide space where your contractors can store materials and tools for the job. Arrange for space as close to the actual project as possible to reduce the amount of time workers spend carrying materials back and forth. Without adequate space the job will progress more slowly and time will be wasted if tools have to be constantly set up and taken down after each day’s work. No matter how much planning you do there will always be some glitches. Remember, this is part of the renovation process. Be flexible and work with your contractors to find the ideal solution. Renovating during spring is a great option to upgrade your home. Remember to set a schedule, arrange space for storage and most of all be flexible during the renovation work and you’ll be saying hello to a new kitchen and bath before Memorial Day! Feel the need to upgrade your living space this Spring? Call ASA today and we will get right on it for you! ASA Builders has always been dedicated to improving our methods and techniques for the sake of the client. 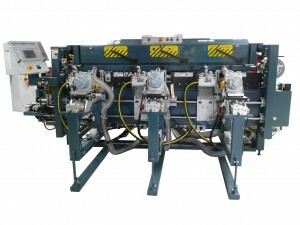 We have purchased a new piece of machinery from Norfield innovative door solutions in order to assemble and load the highest quality doors in the Metro Detroit area. 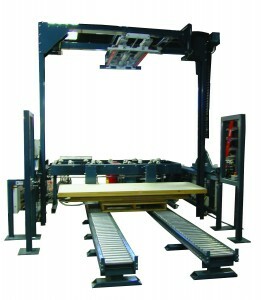 The following images show the 530l Door Loader, The 5000MC Door Machine and the 540AC Door Frame Assembly Machine. 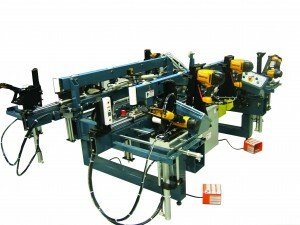 These machines are going to streamline our general door assembly and cut building time in half. In need of some quality doors? Use your refund and revamp your kitchen and bathroom in a weekend! Call ASA Builders Supply today at (248) 624-7400 or visit www.asabuilderssupply.com for a quote on some quality custom doors. Is Cabinet Renovation Right for You? The time has come for you to remodel your kitchen and there are so many expenses that must be dealt with. No matter what else you plan to do to improve the looks of your kitchen, the most expensive item you are likely to buy is new kitchen cabinetry. The cost of new cabinets can run from hundreds to thousands of dollars based on your final choice. If your budget is tight you may want to consider looking into cabinet renovation services instead. This service offers you a far more affordable option with excellent results. What Does Cabinet Renovation Entail? Cabinet renovation on a professional level is a relatively new service that is rapidly gaining in popularity. Since the bulk of the wear on any cabinetry tends to occur to the doors, the hardware, and the fascia, these are in fact the only parts of your cabinets that need renovation in many instances. If the company you choose happens to find a problem with any other part of your cabinetry they will address each situation on a case by case basis. While the main reason behind using a cabinet renovation service may be to help save money on the cost of your kitchen remodeling project, there is more to it than that. Given the high cost of new kitchen cabinets you may end up settling for lower quality cabinets than you have now just to get a new look. By refacing the ones you already have you can afford to spend a little more to get better quality materials and still end up spending less money. With this type of service you select the materials to be used for the new face and doors as well as the hardware. In most cases the entire job can be done in just a few hours instead of the several days completely ripping out your old cabinets and installing new ones can take. This can reduce your total remodeling time and costs significantly and leave you with a beautiful kitchen you can be proud of. Home renovations are an easy way to spice up your home and give it new life. Cabinets, doors and moulding take the brunt of everyday living wear and tear. Semi-custom cabinets, doors and moulding are available to fit every budget and style and take minimal effort to install. Stores are available to select your semi-custom cabinets. You can find the less expensive plywood option or the more elaborate hardwood designs. You can install the cabinets yourself or have a contractor do the installation if you are not handy. When you order semi-custom cabinets the store will modify them to fit the space you have available. They will add any additional hardware that you request at that time as well. Doors are another option to improve the appearance of your home. You can order semi-custom doors online and have them delivered directly to your home for you to install or you can work with a semi-custom store and they will install it. You can customize the windows and make them more energy efficient or add new molding to frame the door. Increasing the security of exterior doors is also an option when you upgrade to new doors. Moulding is a fun project that gives a lot of bang for the buck. Since some moulding is located at foot level it often gets bumped and scuffed giving your home a worn out look. Moulding is an easy do-it-yourself project to update the look of your home. The simplest option is to repaint old moulding. The best option is to take the measurements and shape of the room and have it cut at the store and bring it home for installation yourself. It is important that the angles of the molding be cut to match in the corners and by having the store match up the sides you will have moulding that fits seamlessly. No matter what you choose to do semi-custom doors, cabinets and moulding will make your old home look refreshed and new. ASA Cabinets can have you home looking good as new in as little as a week – call today and we’ll get going on your dream renovation at a fraction of the cost of our competitors! What Exactly is Semi-Custom Cabinetry? 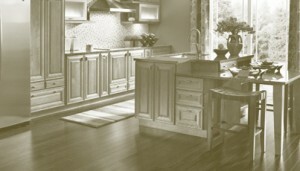 In the world of kitchen cabinets you often hear the term semi-custom cabinetry. This term can be very confusing as it contains the world “custom” within it. To most of us this would seem to denote that the cabinets being installed in your kitchen are unique in that they have been built from scratch just for your kitchen. This would indicate that you were able to choose the types of wood, the style, hardware, and finish for your new cabinets. If you were ordering full custom cabinetry this would be the case, but it is not so when you are buying semi-custom cabinetry. Here you place your order requesting specific sizes of cabinets. The company you order from will go out to their warehouse where they select your new cabinets from a range of premade boxes that match your particular needs. It is at this point that they turn these basic boxes into the cabinet designs you have in mind. In order to turn the basic kitchen cabinets into a completed product that matches your order, the company will then install the custom fronts, doors, and hardware. You still get to choose the type of wood being used for the face and doors as well as the finish to be applied. The company will be able to stain or paint your new cabinets to complement or match your kitchen décor. Because you are ordering semi-custom cabinetry in this manner it is very important that you take the time to ensure you get your order right the first time. Most of these companies do not offer any type of free exchange programs. On the off chance you are not happy with the final result, unless it is a matter of craftsmanship or defective products, you will have to pay for any changes you want made such as color or style. Cabinets are the face of a kitchen and add life to bathrooms as well. If you look at your kitchen cabinets take up a majority of most kitchen walls. You interact with cabinets on a daily basis to get to dishes, silverware and food. So it’s not too surprising how new cabinets can completely change a living space. Cabinets dominate the room. If they are old and worn the space takes on that feeling. If you cannot afford entirely new cabinets than a fresh coat of primer and paint will give your cabinets a new look. If you can afford to install new cabinets the will entirely change the face of your kitchen. Try something different with your cabinets like glass doors and you will be able to display your favorite glasses and jars for an additional change to your living space. Cabinets take a lot of wear and tear and will sometimes get broken. If your old cabinets were difficult to use and some drawers broken the new cabinets will be more functional. As another option you could install a custom spice rack or sliding rack to make better use of your cabinet storage space. 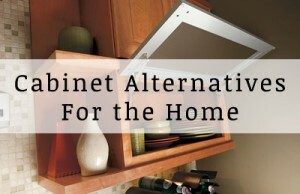 Finally, another option to completely change your living space is to make your cabinets more accessible. If you have a smaller person in your home that has a difficult time reaching high cabinets there are cabinets available that extend down and allow people with shorter stature to reach the items store there. New cabinets are one of the best ways to change a living space. You can change the face of the cabinet by painting or buying new cabinets, you can change and improve the functionality or you can make the cabinets more accessible. These are just a few ways how new cabinets can completely change a living space. ASA Builder Supply Cabinet Corporation can help you with any level renovation you need to get your home back to how it used to be.